Property 6: Semi-Detached Home With 2 Double Bedrooms Sleeping 4 People. 4 Bedroom House Located Above Anstruther Harbour With Sea Views. 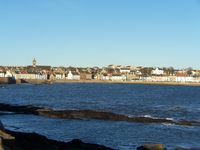 Property 13: 4 Bedroom House Located Above Anstruther Harbour With Sea Views. 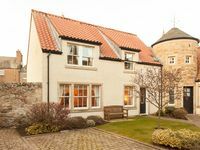 Lovely Holiday House Secluded Private Garden & Parking in Heart of St Andrews. Property 41: Lovely Holiday House Secluded Private Garden & Parking in Heart of St Andrews. Immaculate, all the amenities, very comfortable and quiet! Great location, nice walk to town for dinner. Close to golf, coastline and grocery. Would definitely stay again.